castillo/corrales and Galerie Balice inaugurate their guest program with “Lion Eyes”, a project by Hany Armanious, programmed by Foxy Production, New York. 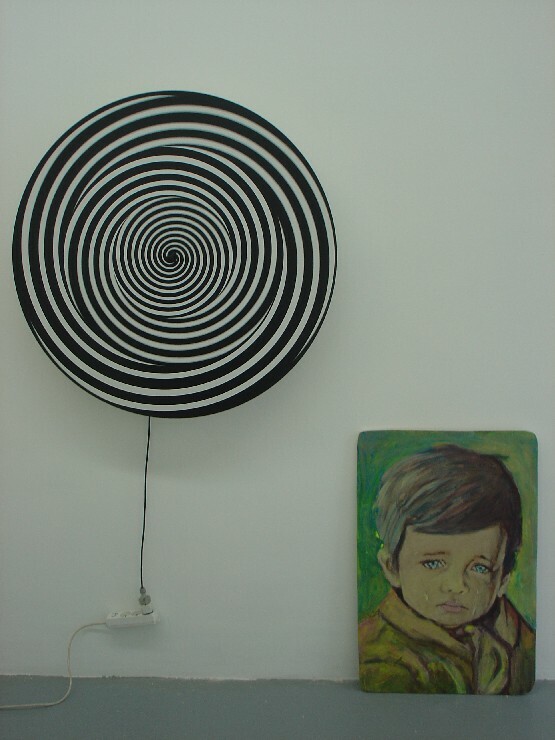 “Lion Eyes” comprises a mechanized spiral vortex, known as a “trizonal space warper”, and a print of a “Crying Boy”, from the mythologized and widely reproduced series of paintings attributed to Bragolin, a Spanish artist also known by many other names. Armanious invites one to gaze at the “space warper”, which after ten seconds confuses the brain, creating an hallucinatory undulating effect. 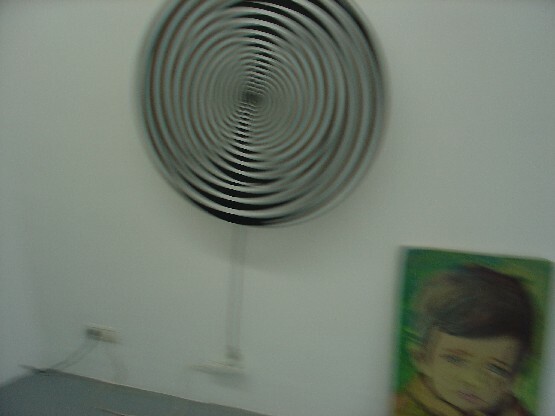 When one then turns to the “Crying Boy”, the space between it and the viewer seems to collapse as it billows out into three dimensions. Using disparate materials and motifs, Armanious interweaves materiality and opticality to draw attention to widely overlooked or specious cultural phenomena. He produces installations and sculptural forms that are irreverent, critical, and anarchic. Hany Armanious (Cairo, Egypt, 1962) lives in Sydney, Australia. castillo/corrales is a gallery run by a group of artists, curators and writers, recently converted to a form of ultraliberal atlanticist policy.